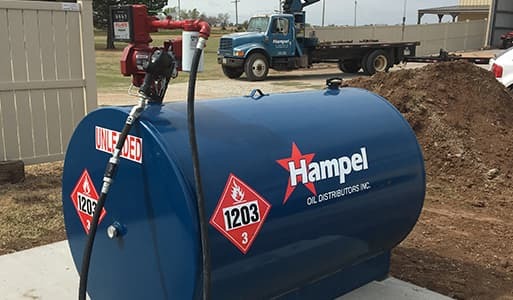 Hampel Oil provides a variety of tank programs that are available to match your needs. We also offer tank monitoring systems to help you better manage your inventory control. All equipment meets both EPA and state and fire regulations. YOUR SOLUTIONS PROVIDER. CONTACT US TODAY!